How to be a good witness. Are you required to testify in a divorce or custody battle for a friend or loved one? We have seen well-intended friends and family work their hardest to unintentionally wreck a benign situation by losing all creditability by acting improperly on the stand, you see, sometimes the way someone reacts in avoiding the truth is registered in the mind of jurors as much worse than the truth. Every time on the stand-just telling the truth, regardless of how painful or seemingly damning it seems is the best course of action. People on the stand feel like the world is caving in on them, their amygdala (which is the structure of the brain which motivates the fight or flight response) is raging, and that isn’t a good thing for a witness to be wrestling with while trying to account details regarding while recalling facts. Lawyers see this in court every day. The prosecutor examines the witness and it seems like an open and shut case, people minds are made up about the facts… Until… The defense’s cross-examination begins and all of a sudden everything seems to be more understandable as situations are explained and intentions seem noble. This is whats referred to as the “cadence of the case.” Humans have a hard time letting opinion swing so hard in a way that isn’t accurate to intent or the situation and being the complex mental process of trying to swing the fact under their own power as a witness, which is end result is counterproductive. We can explain many negative facts away, what we can not get back is credibility. Tell the whole truth, Not part of the truth. Don’t exaggerate the truth. Only answer the questions asked. Don’t get off topic, or you may find your self on the Judge’s bad side. Look the Judge square in the eyes. The judge is normally the person you’re talking to if you’re speaking to a jury, pick three or so members and rotate eye contact between the members. Don’t lose control of your emotions. While tempered emotions can be used to drive home your point, out of control emotions will cause damage to your credibility. Think positive. Don’t use this as a chance to take cheap shots, remember you have the floor and were looking for fact-based arguments to build a case from, opinions, aren’t worth much in a court of law. Everything is being observed. Unless you have been trained as a spy, court officials are better than average at figuring out when someone not telling the truth. It’s normal to confront the hard questions head-on. Nothing feels worse in court than leaving an exposed “gotcha” moment, especially one in which could have been avoided simply by mentioning it first. Listen to the question carefully and fully before giving an answer. Watch for the opposing attorney to reframe the question into something that mischaracterizes the witness’ statements. The calmest mind wins. We as humans act as amplifiers of sorts between us during normal interaction; in-that anxiety or panic tends to spread as well as being calm and level-headed, the most mature among us are typically look-to as anchors for the less experienced ones. Always pause before answering to give your lawyer time to object. The judge will decide if it’s pertinent enough to demand further explanation. A Montgomery County Lawyer Talks About Kratom. It’s our opinion that in the early 2000’s, The pain management Doctors of America started overprescribing many drugs, leading to whats known as “The opioid crisis.” Pharmaceutical companies also played a big part in creating the epidemic by marketing the drugs as safer than they actually are. In 2017 64’000 people died from known opioid overdoses. What we like about kradium is that it does not depress breathing, opioid drugs all depress the breathing. If you see anyone overdosing on opioids breathing shallows until breathing stops. Call 911 regardless of the situation, (many co-users have watched a partner die because they were scared of the consequences) The truth is a co-user could be held responsible for manslaughter in letting a peer die as a result of non-action. Call 911 make sure you tell the operator the responder will need Narcan and begin rescue breaths. Kratom is an over the counter natural product that many opioid drug users say helps them come off the harder drugs. The DEA disagrees about its potential for abuse. We have mixed feelings about substituting one drug for another, but some people feel it helps. The problem is that in our opinion, lawmakers and the pharmaceutical industry helped create the problem in addicting thousands to dangerous drugs, now we have a population wanting help from whatever source they can find it, but the law of unintended consequences would make it available to all people including those who are not looking for relief, but looking to get a buzz. Kratom comes from Thailand, and its also illegal there to buy, sell, trade or possess. 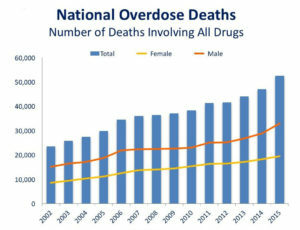 however, no overdoses have been reported in Thailand, however, some have been reported in the U.S. the data becomes complex in that every case of overdose, other drugs have also been present. As of January 2018, Kratom is legal without restriction everywhere in the state of Texas. No pertinent legislation pertaining to kratom is pending or in the planned to be put to the vote. This means you can currently buy, sell, and possess as much kratom as you like in Conroe without concern over legal ramifications. Kratom’s legal status in Texas is perhaps a reflection of the state’s adoration of personal freedom. Texas legislation tends to lean more towards granting more rights than restricting people. We are not advocating drug use, the jury is still out on if kratom will, in fact, be safe for long-term use. However if someone is dealing with opioid addiction, I would prefer someone to take legal methods of avoiding relapse, however, we suspect the window of legality might be coming to a close in the near future, and for that reason, we suggest people take this golden window of opportunity to learn how to live sober. Can I blow a under the legal limit and still get a DWI. How it’s possible to be accused of DWI AND be under the legal limit. We all know the legal limit is .08% as registered per breath or blood test, but urban legend says that some people have been arrested for a lesser BAC concentration, these lesser concentrations of BAC attribute to a small number of arrest, but we see them in the office from time to time and wanted to disseminate what we know. Driving while not using whats considered normal physical or mental facilities while driving. The officer has more discretion in regard to making an arrest for the DWI than you might think if they find a driver impaired in a noticeable way they have the authority to make arrest in order to prevent the driver from driving. No matter your results, from the test, extreme tailgating, reckless driving or deliberate running of traffic signals can all be indicators of impairment. A driver measuring and admitting to only have one libation, but displaying the single drink is getting the best of him by interfering with judgment is at risk of being arrested despite only having a single drink and being under the legal limit. Commerical limits for drunk driving are lower at .04, commercial drivers are expected to operate at a higher standard because of the added responsibility entrusted to them. Commercial drivers haul hazardous loads, and logic dictates that if someone is exhibiting poor judgment in one area, what’s to say the poor judgment isn’t being demonstrated in other areas? For these reasons a commercial driver even showing the slightest signs of impairment are given DWI’s, its considered a betrayal of public trust. If an officer has a reasonable cause for suspecting the driver was over the limit at any point, for example, a man blows a .07 but states he was drinking at a bar over an hour away, the officer has the right to make the arrest and let the courts sort out the details. Law enforcement assumes across all people that BAC drops by.015 every hour a person doesn’t drink, so a good DWI attorney will know the details of how to argue the specifics about this. If a driver is under 21, the State of Texas had zero tolerance, any result over O.0 means they are legally intoxicated and can be arrested for DWI, this also applies to drugs, the under 21-year-old’s mind is not sufficiently developed in terms of judgment, so any judgment reducing activities such as drinking are seen as more than they can handle, because for a minor to be drinking it requires the breaking of at least two laws at the same time, many legal defences exist for such situations an experienced attorney will be able to present on your behalf. As previously stated, Officers have more authority to use their judgment than normally known by the public, if the driver is clearly impaired, or driving recklessly, the officer has the ability to arrest them, even things like not slowing down for corners or changing lanes without the use of a signal can lead to DWI arrest. It is our precise legal opinion that it’s simply not worth it to drive with alcohol in your system. The system works against the driver in so many ways, that unless you are SOBER, we do not think the risk outweighs the reward, sleep in your car with the keys on the tire, call a friend or just wait. Many nights have ended in disaster from not being willing to do these things, however, if you find your self in this situation, look for a lawyer that will fight for your rights, so that you can have a life after DWI.